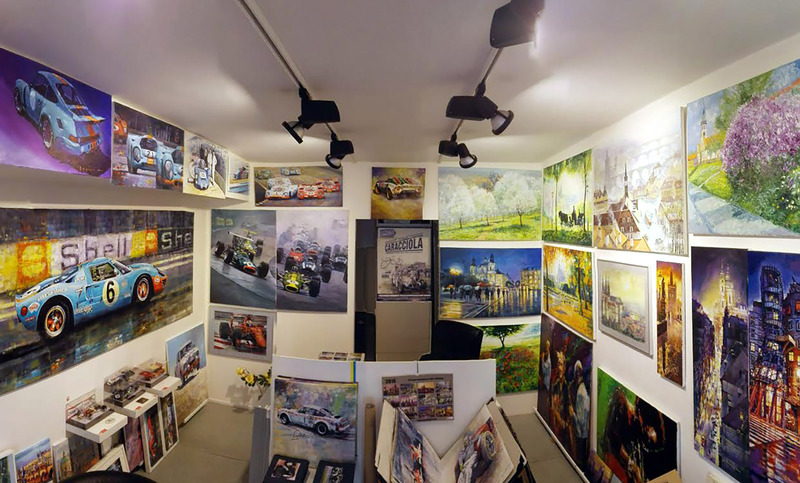 Works by a local painter at Shevchuk Art Gallery concentrate on images of some of Prague's most iconic neighborhoods. Born and educated in Kiev, Yuriy Shevchuk moved to Prague in the 1990s. Today, he paints mostly scenes with vintage cars and portraits of jazz musicians. In addition to these two topics, his favorites, he captures street images of Prague through the changing seasons. Visit the website to buy originals or reprints of Shevchuk's works. Make Shevchuk Art Gallery a part of your Prague vacation plans using our Prague itinerary website . The namesake of the famous Russian musician-famous artist in Prague with Ukrainian roots. Oil paintings, watercolours and drawings. Fans of painting will be interesting, others perhaps not. But a combination of better than cartoons on the Charles Bridge. Yuri Shevchuk was born in Kiev, and now is considered one of the most acclaimed contemporary artists in the Czech Republic and even has its own gallery in Prague. The work of bright, original, and there are graphics, watercolors, and oil. But the prices are pretty high-the smallest watercolor worth 3000 EEK. Very informative and an interesting Museum. Exhibited here are very beautiful and scenic pictures. Gladly would have had one of them. Every day, we help thousands of travelers plan great vacations. Here are some tips on how to use your Listing Page to attract more travelers to your business - Shevchuk Art Gallery. Promote your permanent link - https://www.inspirock.com/czech-republic/prague/shevchuk-art-gallery-a1209065931 - on your website, your blog, and social media. When a traveler builds a plan from this page, the itinerary automatically includes Shevchuk Art Gallery. This is a great way for travelers looking for a great vacation in your city or country to also experience Shevchuk Art Gallery. Promoting your link also lets your audience know that you are featured on a rapidly growing travel site. 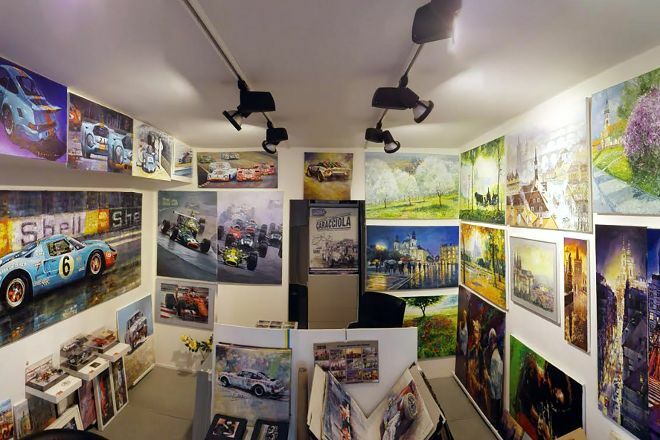 In addition, the more this page is used, the more we will promote Shevchuk Art Gallery to other Inspirock users. For best results, use the customized Trip Planning Widget for Shevchuk Art Gallery on your website. It has all the advantages mentioned above, plus users to your site can conveniently access it directly on your site. Visitors to your site will appreciate you offering them help with planning their vacation. Setting this up takes just a few minutes - Click here for instructions.